Samantha Cripps is 26 years old and from Waterford, Michigan, USA. Graduating with a Certificate in Horse Management at Michigan State University in 2014, she moved to Lexington, Kentucky where she completed the Kentucky Equine Management Internship at Margaux Farm and Lane’s End Farm. 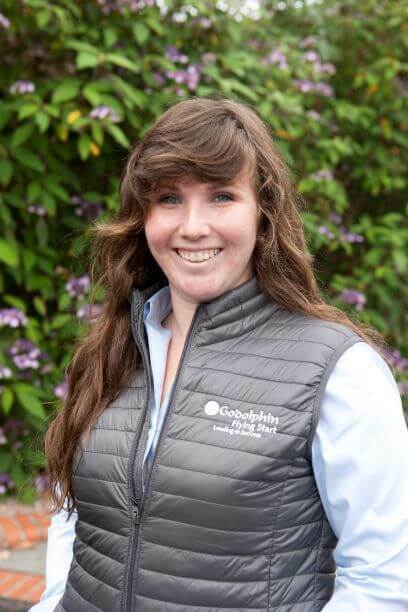 Samantha has worked at Arrowfield Stud, Australia, Waikato Stud, New Zealand, and was the 2017 gold medal winner of the Irish National Stud Thoroughbred Breeding Course. Before commencing Godolphin Flying Start she was a Veterinary Technician for Dr. Benjamin Stivers, DVM at Hagyard Equine Medical Institute.